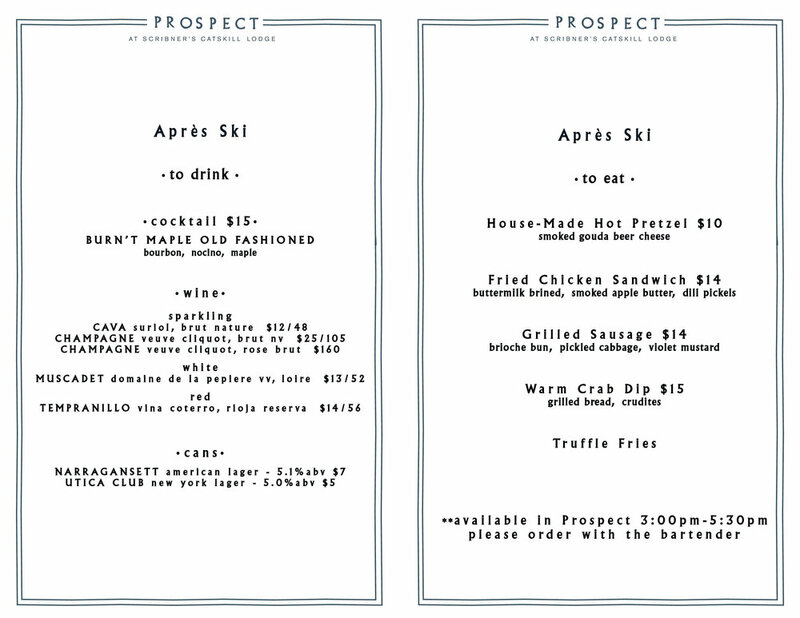 Drop into Scribners and take part in the best post-ski scene on the mountain and enjoy Prospect's dedicated Après-Ski menu. From a house-made pretzel or truffle fries to crab dip; surely there's something for everyone. Our featured cocktail will be the burnt maple old fashioned. Food will be served from 3:00-5:30p.